Aisha Bassett, a Bermuda student pursuing her medical education in the UK and serving a medical internship in Belize, has turned her original dream of lending a hand to Belizeans in need into a charitable opportunity thanks to not only her generosity, but that of all Bermudians. 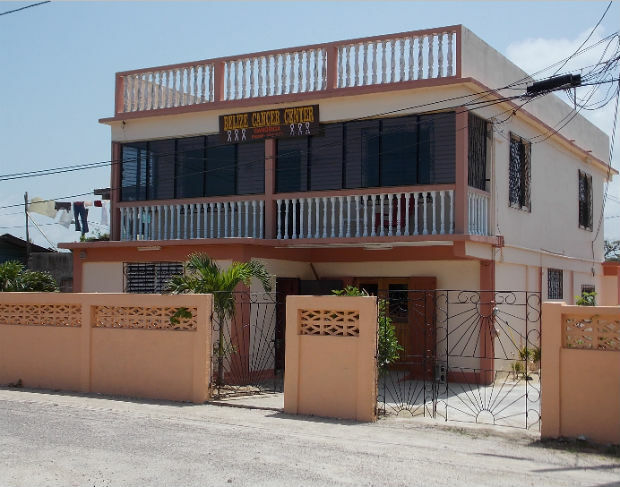 A spokesperson for the Belize Cancer Center, where Miss Bassett is serving her internship, said “Cancer treatment should be accessible to all, not just the privileged. So it was most welcome when Bermudian Ms. Jenefer Brimmer, President of HI Group Investment and Management Ltd. donated $1000BZ to the Belize Cancer Centre in Dangriga. “The donations, however, didn’t stop there. “Ms. Brimmer’s initial support of fellow Bermudian Miss Aisha Basset’s dream of an internship in Belize has been generously supplemented by funding from the Bermuda public. Miss Basset, a medical student in the UK, had appealed for the public’s support a year ago to follow her heart in doing her medical internship at the Belize Cancer Centre. 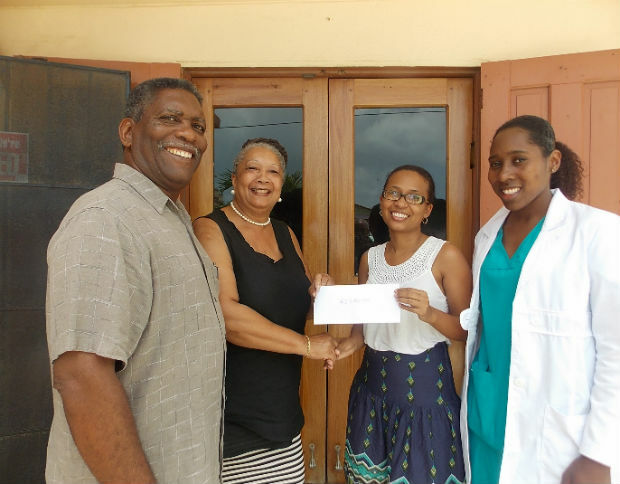 “With the surplus funds at hand, this young lady, a true global citizen, asked that this donation be used to assist any Belizean families in need of chemotherapy or radiation. 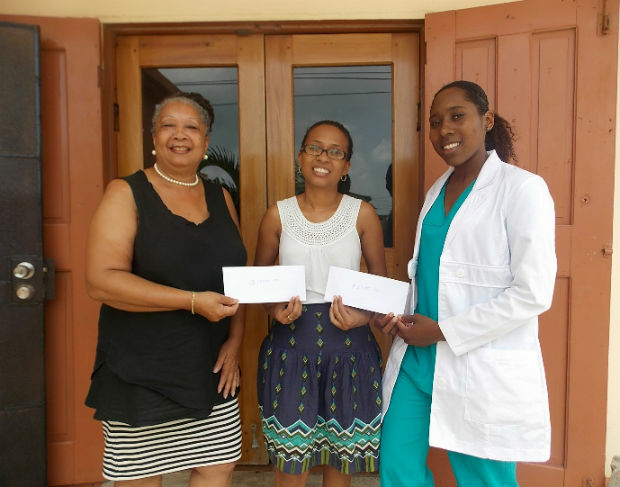 “It was then with great pride that Ms. Brimmer assisted Miss Basset in presenting a second cheque of $3850BZ to Ms. Emily Sarmiento of the Belize Cancer Centre. Also present was Mr. Douglas Thompson, owner of the Black Orchid Resort, who hosted Miss Basset upon her arrival in Belize. “Heartfelt thanks must be extended to the Bermudian individuals who gave to this cause: Ms. Winifred Simons, Mrs. Berlene Smith, Mrs. Phyllis Forbes, Mr. Victor Smith, an anonymous donor, and The People’s Church of Bermuda.